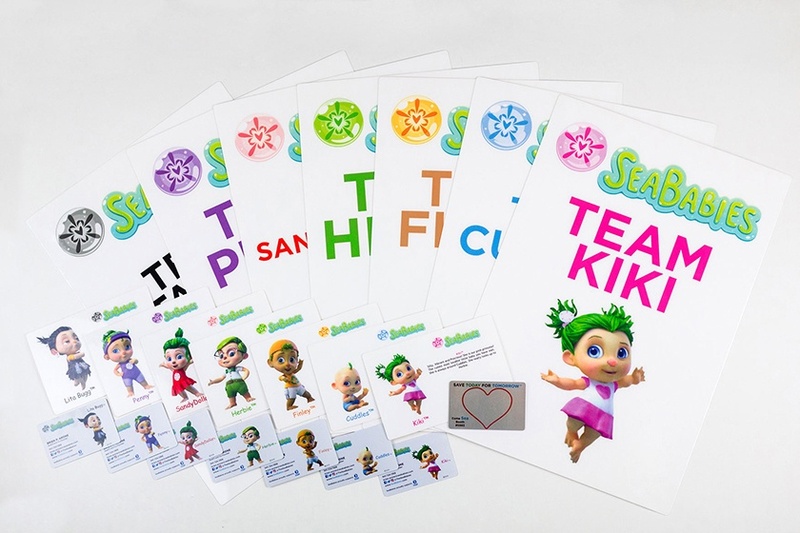 Create an eye-catching design fit for any designer or agency (or even your clients!) 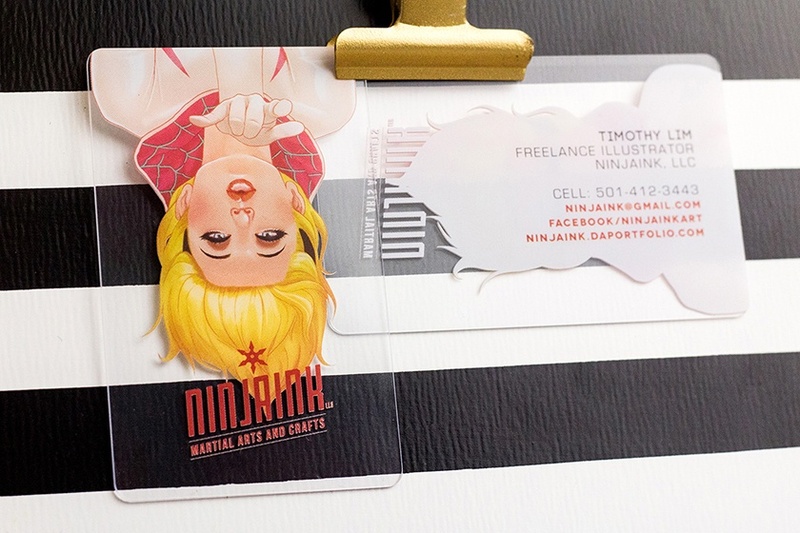 with custom plastic graphic designer business cards. 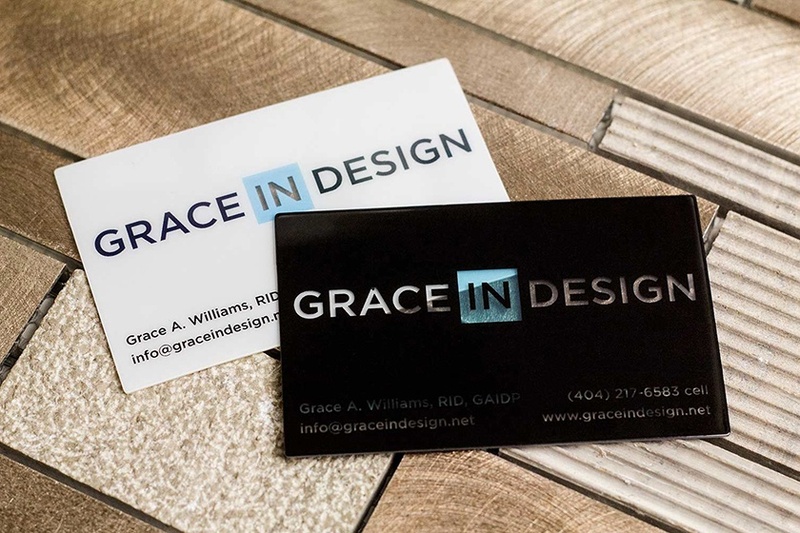 Whether you're a graphic designer or an agency looking for business cards for your client, you need to have cards that not only show your creativity, but also leave a lasting impression on anyone who sees them. 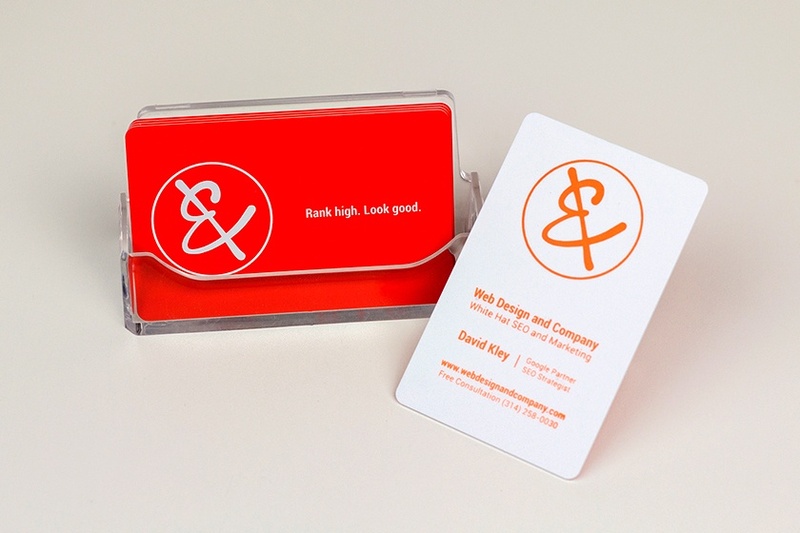 Business cards should be an experience, something the recipients want to hold on to. At Plastic Printers, we get that. 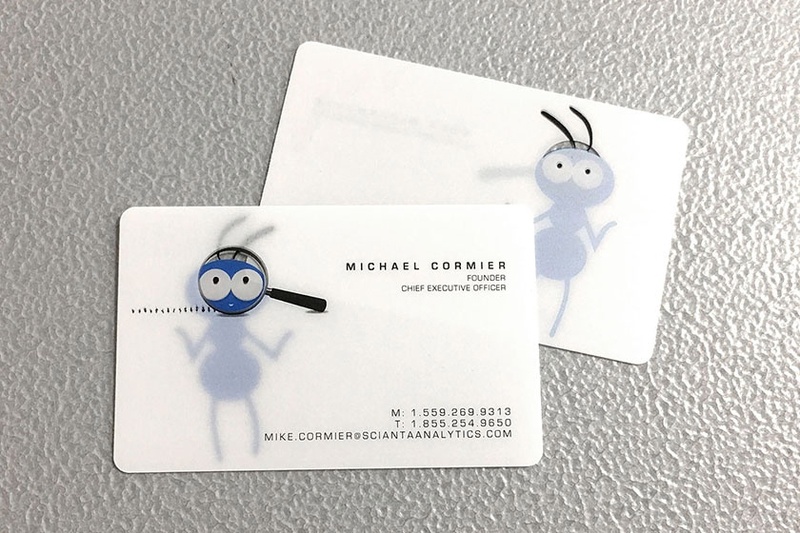 And that's why our experts will work with you to create custom graphic designer business cards that compliment yours or your client's unique brand. 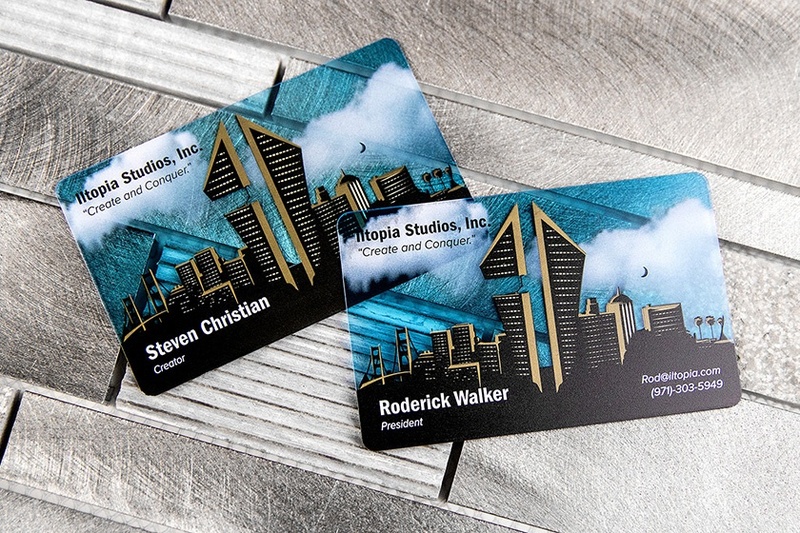 Our cards achieve the look of precious metals such as platinum, silver, gold, copper, bronze or even brass and will stand up better to the elements. Choose from a square business card, round business cards or use one of our stock custom shapes. 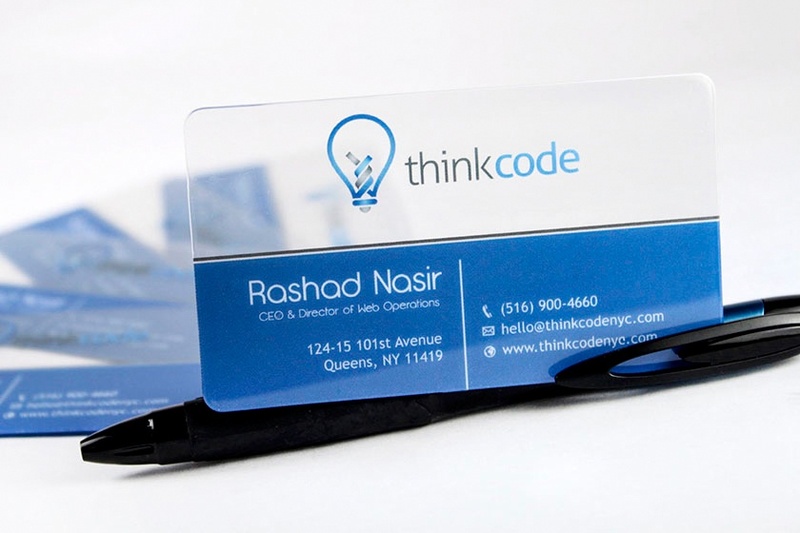 No doubt about it, clear business cards are cool and by far our most popular option. If you are looking for a clear or frosted look we've got you covered. 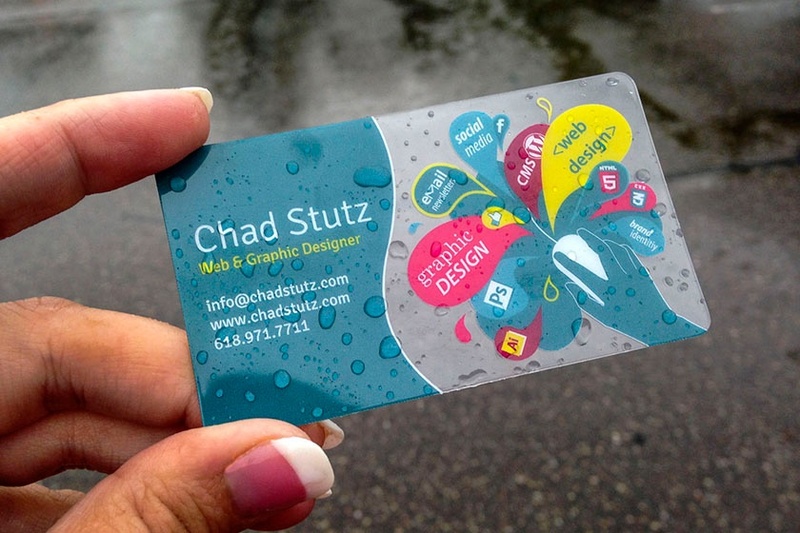 Speak with an expert today for ideas about how to get more out of your graphic designer business cards.